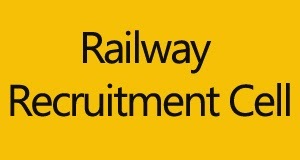 Railway Recruitment Cell RRC Recruitment 2014 For 10th Pass & ITI Pass Vacancies 2014 Apply Online www.iroams.com and www.nwr.indianrailways.gov.in. Railway Recruitment cell NWR RRC inviting the online applications for the various vacant posts for 10th pass and ITI passed candidates. This is the good opportunity for all those candidate come under this education criteria, can get the railway jobs under the following recruitment of vacant positions. Check out the following details of NWR RRC Recruitment under Northern Western Railways Jaipur. Region Name: RRC (Railway Recruitment Cell) – Northern western railways, Jaipur. Post Name: Trackman, Traffic Khallasi/ Points Man, Gate Man, Helper/Khallasi, Helper/Khallasi/Safaiwala/H.A. Education qualification: Interested candidates must have minimum qualification of 10th pass (SSC) and/or ITI passed or equivalent or higher education is also preferred. All the candidates will be selected through the performance results of written examination and then qualified candidates will follow the physical test and medical examination for the final selection. All the interested and eligible candidates can apply online or offline through the official websites www.iroams.com and northern western railway site www.nwr.indianrailways.gov.in on or before the last date to apply. For offline apply, candidates can download the application form from the above websites and then fill it properly and attested by Gazetted officers and send it to railway recruitment cell.